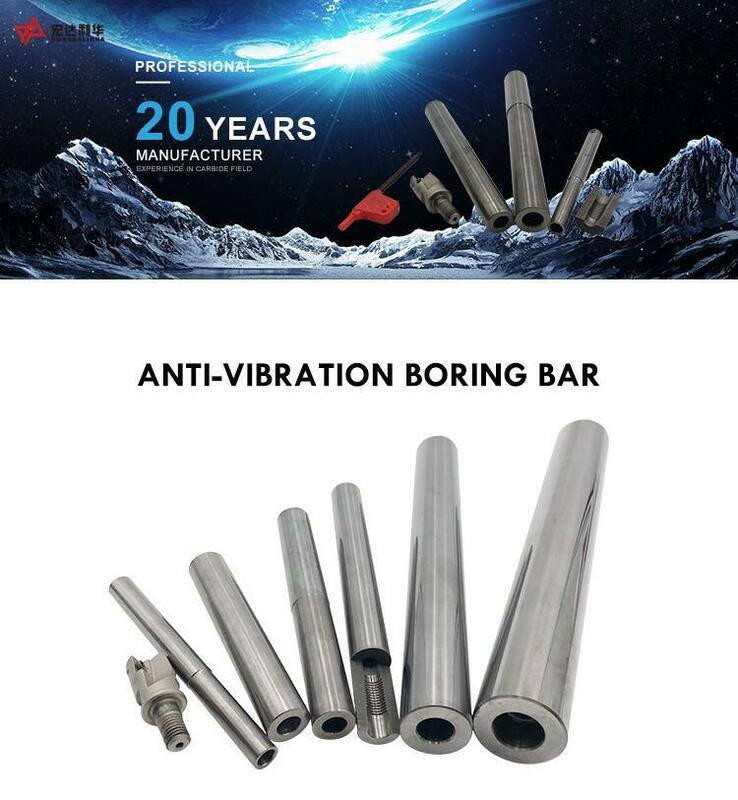 It is an important tool for for machining in CNC machining,Its purpose to prevent tools from shanking and to control,make tools vibarte which also called CNC extension rod. Especially as the CNC precision machining developing,the traditional CNC machining from 5000 rpm,6000 to 8000 rpm,after more sophisticated and efficient cutting speed will be developed to more than 20,000 turn. Such high-speed cutting, Higher requirements of sufficient seismic performances is needed carbide stamping pole must be uniform material, consistent performance of its and Precision concentric assurance to achieve such a high speed cutting operation requirements. Established in 1990, specialized in production carbide products more than 20 years and located in zhuzhou cityÂ which is the hometown of tungsten carbide in China . Our products sold well to worldwide, has been build a long term relationship with our customers from Italy, Portugal, German, Turkey, USA, Mexico, India, Australia, South Africa etc . Our Main products include : Carbide Screwed Boring Bar, Plates, Rods, Sticks, Bushings, TP nozzles, 3D Printer Nozzles, Saw Blades, End Mills & Drill Bits, CNC inserts, Value Seats, Rotary Burrs, wheel cutters, Grits, Cusomized cutter:woodworking tool, V-cutter, textile cutter, shoes cutter ects. Any kinds of customized carbide products . We have sophisticated equipments, such as Sintering Furnace, Automatic suppress Machine, Manual Hydraulic Suppress Machine, Ball Mill Machine, Drying Machine, Mixing Machine ect, Our production capacity up to 15 Ton per month. Customized is welcome, customized sample can be ready in 3-5 days and 1 day can deliver for stocks. We have a professional QC team follow to the System of ISO9001:2008, Covering the Raw Materials Incoming, Production Processes, Finished Products and Packaging to ensure high quality products output.